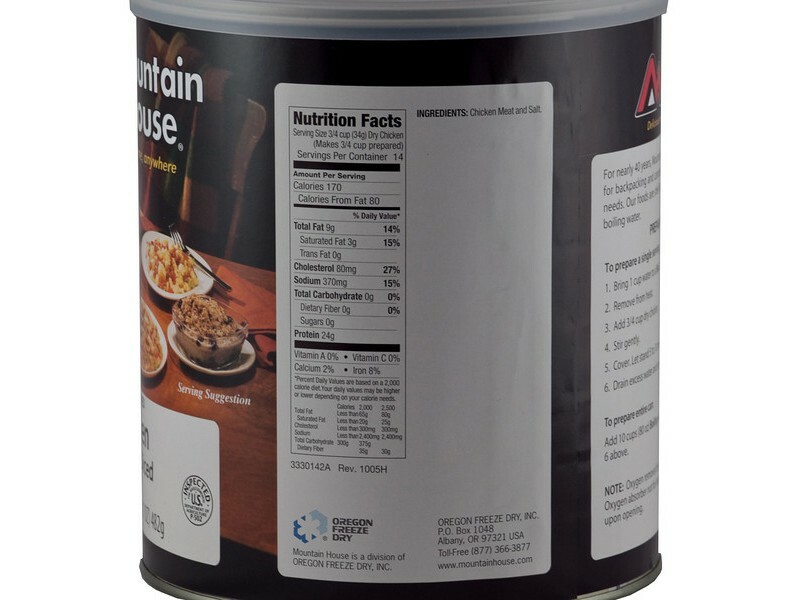 Mountain House has created a great #10 can of diced chicken that will provide enough food for several meals for an entire family. 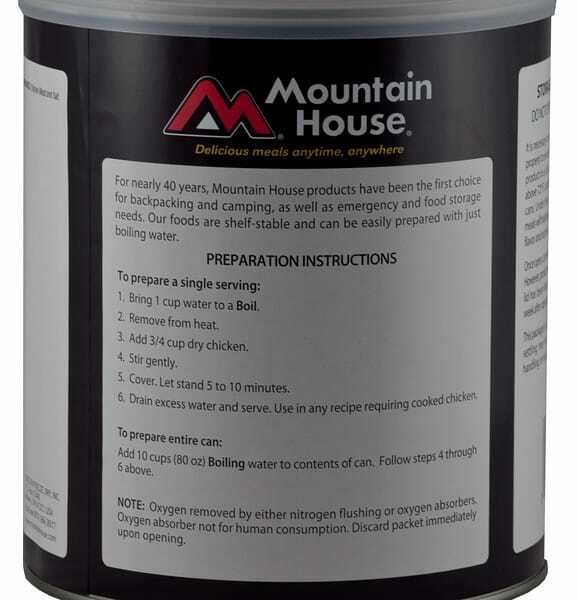 This great tasting chicken is specially packed in a high quality can, which will keep the contents safe for 25 years, or even longer. Each can contains 14 servings, providing more than enough food for an entire family. In addition, the preparation of the chicken couldn't be easier. Adding a cup of hot water to ¾ cups of the chicken, and wait about 10 minutes. 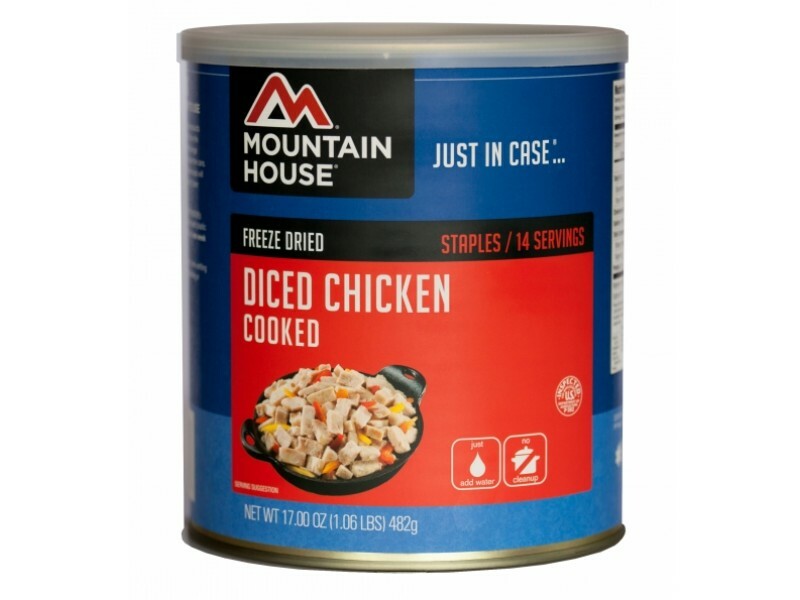 This #10 can of diced chicken is a great way to start an emergency food storage program, or quickly add some high quality food to an existing stockpile. 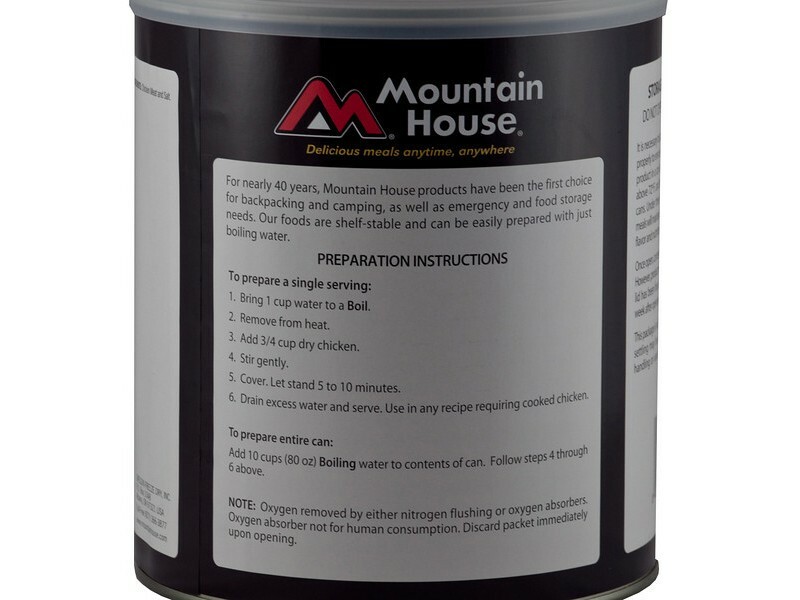 The can of diced chicken from Mountain House is perfect for emergency or disaster preparation, but it can also be used for camping or hiking. Wherever you go, you can enjoy the great taste of diced chicken. Each serving of the diced chicken has 24 grams of healthy protein, 9 grams of fat, and a variety of other important nutrients. This can provide a great foundation for any meal for you and your family, no matter the situation you’re in. The high quality protein will help everyone feel fuller for longer than many other foods. In addition, it will help keep you strong and healthy so you can properly face the world, no matter what is going on. 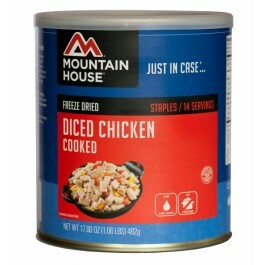 Inside each #10 can of diced chicken from Mountain House is only chicken meat and salt. Since there is no sauce, preservatives or other items, you can do a lot with the meat. You can use it in recipes, or just eat it just as it is. Everyone will enjoy the great taste, and the fact that it is so easy to prepare. 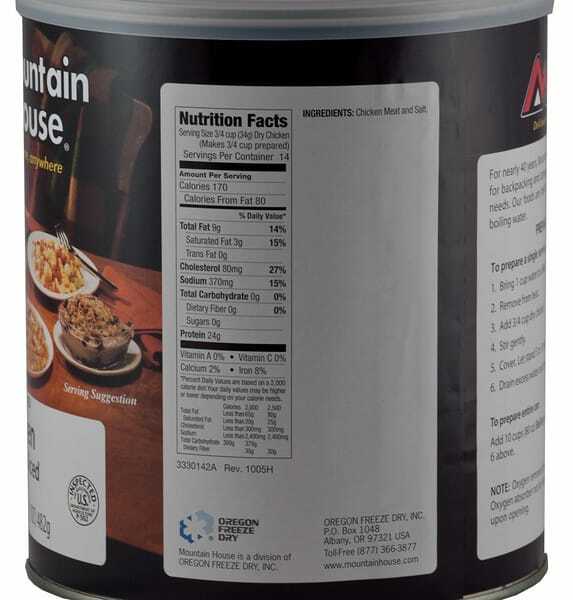 With an impressive 25 year shelf life, this makes the perfect addition to your food storage program. One can contains 14 3/4 cup servings.